I hope everyone had a great Thanksgiving! We definitely had more than enough food and drinks. By the end of the evening everyone was so stuffed we could barely move. I’m not sure if that’s a good thing or bad thing. At least we all enjoyed the food and had plenty of leftovers. I don’t think I’ll ever learn – I always make way too much to insure that we have leftovers. Then it’s as though Thanksgiving lasts for days, which is horrible on the waistline! My husbands sister and her family came in from San Francisco so he decided he’d pick up some of their favorite Cheesecake Factory desserts, and for appetizers – White Castle. Yes you heard that right – White Castle for appetizers, with fries and onion rings, plus my appetizers. No wonder none of us could move. Let’s face it, we’re all entitled to celebrate the day however we like. My husband is very thankful that White Castle is still around so that once a year on this day, he can indulge, and give thanks for the past year. He picked up Linda’s Fudge cake, Hershey’s Chocolate Cheesecake, and Carrot Cake, none of which are synonymous with Thanksgiving. So I had to make Pumpkin Pie and Pecan Pie – but opted to go with bite size bars rather than pie wedges with all the other desserts he picked up. I would have made an Apple Crisp or something with apples, but figured what I’d be serving was already a bit overboard. If you love Pecan Pie, and cheesecake, which we do, you’ll love these Pecan Pie Cheesecake Bars. I use Lyle’s Golden Syrup instead of regular corn syrup, which in my opinion, transforms any recipe into a spectacular one, with it’s rich buttery flavor. These make the perfect dessert anytime, but especially during the holidays. 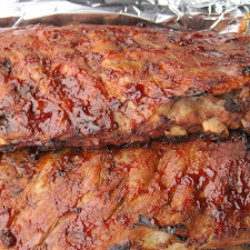 Make them ahead and keep covered in the refrigerator for up to 5 days. Here’s the recipe……. In a medium bowl, combine flour and 3/4 c. brown sugar. Using a pastry blender or fork, cut in butter until mixture resembles coarse crumbs. Stir in 1/2 c. of pecans. Press mixture evenly in bottom of a 13x9x2 baking pan lined with heavy duty foil, with some overhang. Bake 10 minutes and cool. In a medium bowl combine cream cheese and sugar. Beat at medium speed with an electric mixer until smooth. Add milk and vanilla, beating until combined. Pour onto cooled crust. Bake for 15 minutes and cool for 10 minutes. In a medium bowl, combine 3/4 c. brown sugar, Lyle's Golden Syrup, melted butter and eggs. 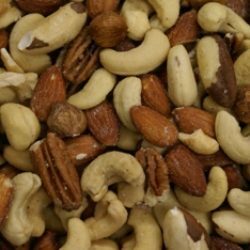 Stir in 1 1/2 c. pecans. Pour pecan mix, over creamed cheese mixture in pan. Bake for 40-45 minutes or until center is set. Allow to cool completely, then cover and place in refrigerator. When ready to serve, pull out Pecan Pie Cheesecake Bars by edges of foil, and set on a cutting board. Cut into bite size squares. Place squares on plate and serve. How I wish I could lay my hands on some cream cheese and create these bars. It is not available in Indian and the imported ones are priced exorbitantly! Oh I can’t imagine not having cream cheese. If I thought it would hold up I’d send you some. I wish you could try these they’re yummy. I haven’t made cheesecake in a really LONG while…these look fabulous, Vicki. They’re perfect – there’s not too much of it but just right. I hope you try these. I love the idea of making bars instead of a big cake. This is such a winning combination too. If I’d been at your house I would have skipped the CCF stuff and gone straight for these yummy treats! I’m glad I made these into bars. With those 3 enormous cakes, another a huge meal this was perfect and delicious. I hope you had a nice Thanksgiving. We really do need to try that golden syrup sometime – I’ve heard good things about it. And reading this recipe, I know this is a good thing! Love the idea of these – thanks. I always have it in my cupboard now. All it took was trying the Lyle’s Golden Syrup one time and I was hooked. You should pick up a jar. They were delicious! Yes we ate well over the holiday and still are. I need to pitch any leftovers we have before I can’t fit through the door anymore. What a great idea to make bars! Lovely flavors and delicious treat! I’m so glad I made them into bars. They really are the perfect size, whereas a slice of pie is sometimes too much. I hope you’ll try these. Have never heard of the golden syrup. It sounds interesting! These pecan pie bars sounds fabulous and already have my mouth watering. Pecan pie is my favorite of all pies, so anything with those 2 words in it definitely has my interest. Great recipe Vicki! Oh you definitely have to pick up some Lyle’s Golden Syrup, it’s so good. I replace anything that calls for corn syrup now with this. 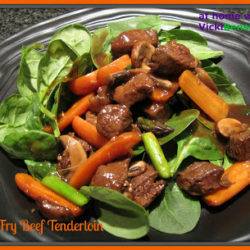 It transforms a great recipe into a sensational one – IMO! I hope you’ll try these. They are so tasty – I think you’ll love them. Honestly I am not a big fan of cheesecake…they are usually too heavy for me…but I can see myself making these bars…love all the three layers and they must taste delicious all together. I think these are the perfect balance of cheesecake and pecan pie. There’s just enough of each but not too much to be too heavy. I hope you’ll try them. Everyone loved them, even as full as we all were. Pecan pie and cheesecake are two of my ultimate favorite desserts, and that fact that you made them into one makes you a genius. Love it! Thank you Rachel, I hope you’ll try these. 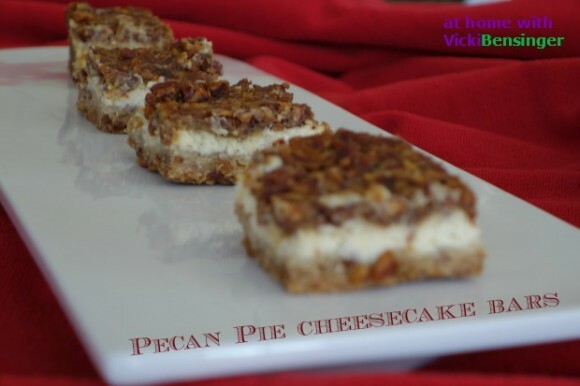 I enjoy bars more often than cakes and these cheese cake bars sounds delicious with pecans. During the holidays I think having bar desserts is so much nicer. Then you feel like you can try more things without wasting them. This looks wonderfully delicious! Lovely photo! Oh thank you Kathy and for the photo comment. I’m still photo impaired. I just can’t seem to carve out enough time to learn photography like I need to so I appreciate the comment. I need to pick up some Lyle’s. I haven’t had any since visiting Ireland many years ago…it would be an excellent pantry item. Your bats look spectacular!!! PS..those big chips are from Guittard. You can find them at Sur la Table, Williams-Sonoma and I think Fresh Market. They are in a box. Ah yes, I do remember now that Guittard makes huge chips. Thanks for the reminder, I need to pick some of those up – they’re beautiful! I’m a bit late to come here but it sounds like you had a very nice Thanksgiving. 🙂 I love apple, pumpkin, and pecan pie most! 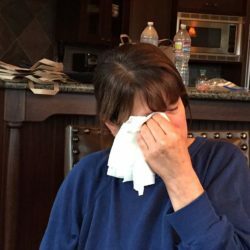 I haven’t had pecan pies for years, actually…. 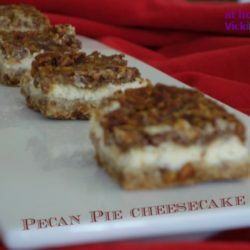 these pecan pie cheesecake sounds just too perfect for what i crave right now! These look scrumptious. I just want to sink my teeth into one or three. I have the confidence that if I am making any of YOUR recipes, it has to turn out great! Wonderful dessert with pecan pie. These bars look scrumptious!